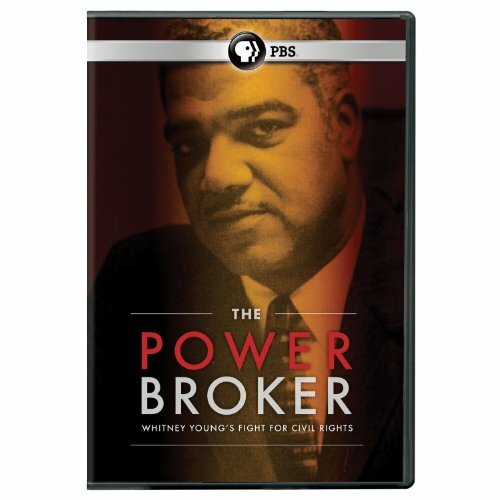 Arlington, Va. - March 26, 2013 - PBS Distribution today announced it is releasing The Powerbroker: Whitney Young's Fight for Civil Rights on DVD. During the 1960s, as the executive director of the National Urban League, Whitney Young was one of the few African Americans who had the ear of those who controlled the levers of power: Fortune 500 CEOs, governors, senators, and presidents. He used these relationships to gain better access to employment, education, housing, and healthcare for African Americans, other minorities, and those in need. His unique position and approach earned him praise, but also scorn from the Black Power movement for being too close to the white establishment. While he is less known today than other leaders of the era because of the behind-the-scenes nature of his work, Young's legacy and influence are still felt profoundly. The Powerbroker will be available on DVD April 30, 2013. The run time of the program is 60 minutes and the DVD SRP is $24.99. Narrated by Alfre Woodard ("Primal Fear"), The Powerbroker is executive produced by Young's niece, Emmy(R) Award-winning journalist Bonnie Boswell and produced by Ms. Boswell, her son, Taylor Hamilton, and Christine Khalafian. Born in 1921 in rural Kentucky, Young was the son of Whitney and Laura Ray Young. He attended the Lincoln Institute, a segregated school where his father served as principal. His mother was the country's second African American postmistress. His parents had a powerful influence on him, instilling confidence, dignity, and a strong belief in empowerment through education. Young served in a segregated unit in the Army during World War II, where he frequently mediated tensions between the white and African American service members. The experience inspired Young to work in civil rights when he returned from the war. To learn more about the film, visit The Powerbroker interactive companion website (http://www.pbs.org/independentlens/powerbroker), which features detailed information on the film, including an interview with the filmmaker and links and resources pertaining to the film's subject matter. The site also features a Talkback section, where viewers can share their ideas and opinions, preview clips of the film, and more. The Powerbroker is a production of Bluegate, LLC. The executive producer is Bonnie Boswell. The film is produced by Bonnie Boswell, Christine Khalafian, and Taylor Hamilton. BONNIE BOSWELL (Executive Producer/Producer) is an award-winning reporter, producer, TED talk presenter, commentator, and talk show host. A graduate of Harvard University and the Massachusetts Institute of Technology, Boswell won a Golden Mike Award for a one-hour news program she created for NBC. Boswell has been a news reporter for NBC-TV, Los Angeles, the co-host of a national cable television news talk show, and an associate producer for ABC's 20/20. CHRISTINE KHALAFIAN (Director, Producer, Editor) is a filmmaker whose short films have premiered at the Sundance, SXSW, Los Angeles and Rotterdam film festivals, among others. She has worked as an editor on such feature documentaries as This Film is Not Yet Rated, which premiered at the Sundance Film Festival, and The Dungeon Masters, premiering at the Toronto International Film Festival. TAYLOR HAMILTON (Director, Producer, Associate Editor) is a filmmaker with extensive experience in broadcast television. As a director and engineer, he has executed the physical production of talk shows, live shots, infomercials and celebrity junkets for a broadcast studio whose clients include ABC, CNN, CBS, E!, HDNet, Comedy Central and Fox News. Hamilton is the Video Producer for frogDesign, Inc. Independent Lens is an Emmy(R) Award winning weekly series airing on PBS. The acclaimed anthology series features documentaries united by the creative freedom, artistic achievement, and unflinching visions of independent filmmakers. Presented by Independent Television Service (ITVS), the series is funded by the Corporation for Public Broadcasting (CPB), a private corporation funded by the American people, with additional funding provided by PBS, the National Endowment for the Arts, and the MacArthur Foundation. The senior series producer is Lois Vossen. More information at www.pbs.org/independentlens. Join Independent Lens on Facebook at www.facebook.com/independentlens.